The soaring 28-foot-high steel arches at the Desert Botanical Garden’s Sybil B. Harrington Cactus and Succulent Galleries (dbg.org) frame one of the country’s most artful cactus and succulent collections. 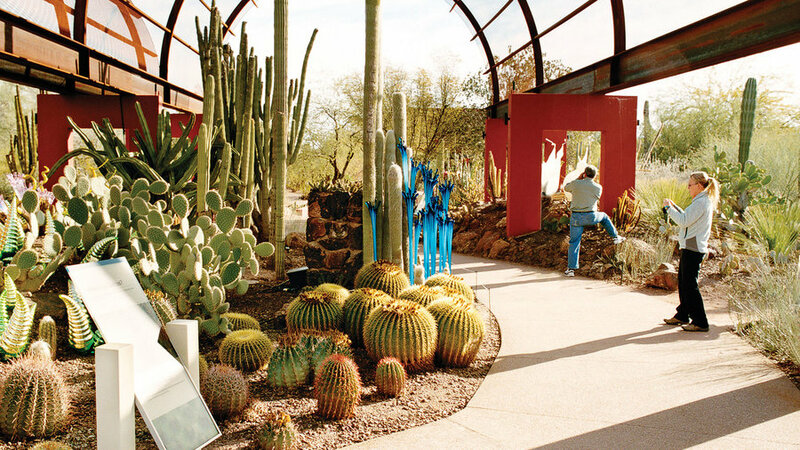 Designed by Steve Martino, the galleries also demonstrate how brightly colored masonry complements sculptural plants. $15, 1201 N. Galvin Pkwy. 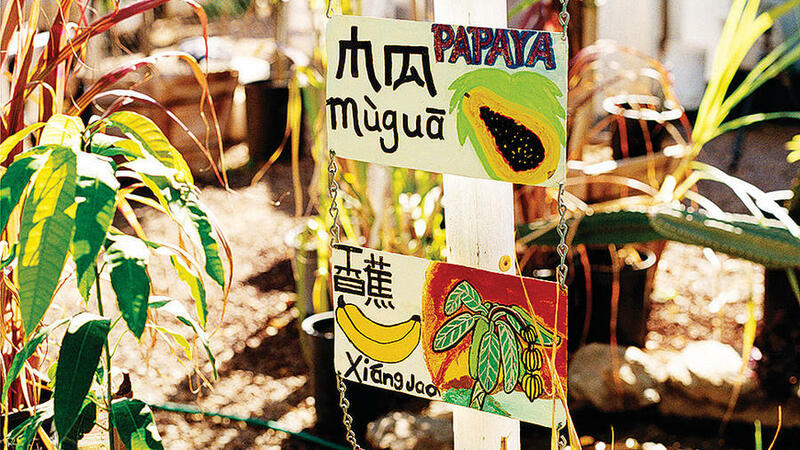 When Alexander Peña, owner of Tropica Mango Rare & Exotic Fruit Nursery (tropicamango.com), arrived in Arizona, he grew tropical fruit trees in his yard until he discovered the best varieties for the low desert. Now you can buy plants like cold-hardy ‘Ice Cream’ banana from his friendly roadside nursery. 3015 E. Baseline Rd. Refuel and refresh at the Royal Palms Resort and Spa. 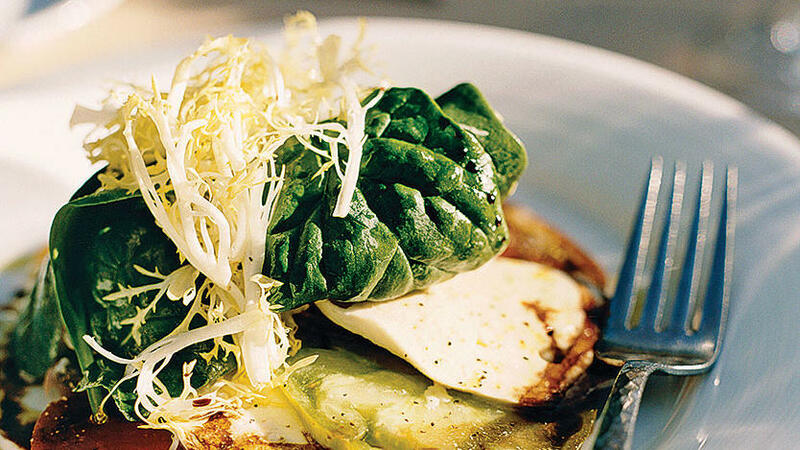 Order drinks, salads (pictured), or Mediterranean tapas at T. Cook’s ($$$), then explore the resort’s courtyards, including the largest Bismarck palm specimens in Phoenix. If you’re feeling indulgent, head to the Alvadora Spa for a citrus-based treatment (from $35; reservations required). 5200 E. Camelback Rd. ; 800/672-6011. 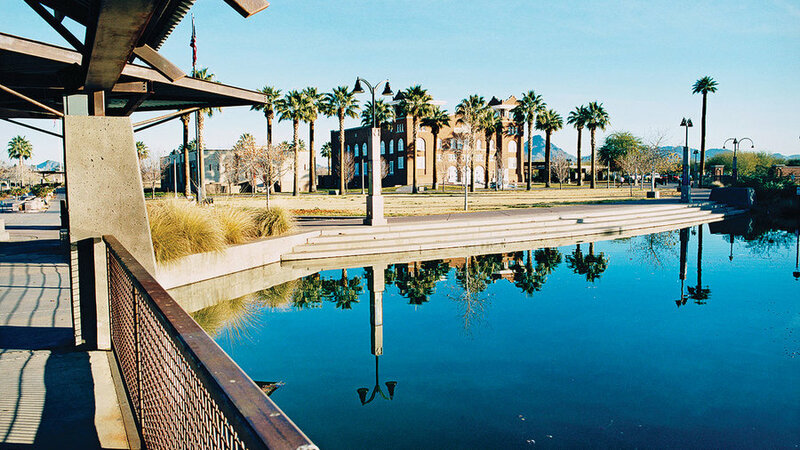 At Steele Indian School Park, walk the Christine Ten Eyck–designed entry garden, a spiraling path marked by Native American poems that gradually descends a half-mile into the earth, then cross a bridge over the pond to Memorial Hall, a 1922 Mission Revival building (pictured). Free; 300 E. Indian School Rd. ; 602/495-0739.